WEST LAFAYETTE, Ind. - Alexandra Boltasseva, a Purdue University assistant professor of electrical and computer engineering, has been named one of the world's top young innovators by Technology Review magazine. The TR35 award recipients, selected by the editors of Technology Review, will be honored Oct. 18 and 19 during the emtech MIT 2011 conference at the Massachusetts Institute of Technology. The TR35 recognizes 35 of the world's top innovators under the age of 35 in energy, medicine, computing, communications, nanotechnology and other emerging fields. "Technology innovation is key to driving growth and progress in the areas of research, medicine, business and economics," said Jason Pontin, editor-in-chief and publisher of Technology Review. "This year's group of TR35 recipients is driving the next wave of transformative technology and making an impact on the way we live, work and interact. We look forward to profiling and working with these technology leaders each year and watching their continued advancement in their respective fields." Boltasseva's research includes work into a new class of "plasmonic metamaterials" as potential building blocks for advanced optical technologies, including ultrapowerful microscopes and computers, improved solar cells, artificial atoms and a possible invisibility cloak. The new materials could make possible "nanophotonic" devices for numerous applications. She was nominated for the award by Andrew M. Weiner, Purdue's Scifres Family Distinguished Professor of Electrical and Computer Engineering. "I am happy to nominate Dr. Boltasseva for her outstanding contributions to the fields of nanophotonics and plasmonics," he said. "Her work on metallic optical waveguides and novel plasmonic materials are highly visible and open new prospects for radical miniaturization of integrated optics devices and for novel nanoscale optical technologies." Researchers have tested some of the new materials and demonstrated their optical properties in work based at the Birck Nanotechnology Center in Purdue's Discovery Park. Plasmonic metamaterials are promising for various advances, including advanced sensors and a possible "hyperlens" that could make optical microscopes 10 times more powerful and able to see objects as small as DNA. "I feel very humbled, especially because this work is not so close to commercialization as work in some other areas," Boltasseva said. "It was a very nice surprise because it's a sign that our area is not thought of as blue-sky research. It's of interest to the research community and the general public." She earned bachelor's and master's degrees in physics from the Moscow Institute of Physics and Technology in 1999 and 2000, respectively, and a doctorate in electrical engineering from the Technical University of Denmark in 2004. Boltasseva specializes in nanotechnology, nanophotonics, nanofabrication, plasmonics, metamaterials, integrated optics and sensing. She has received the Young Elite-Researcher Award from the Danish Councils for Independent Research in Denmark and the SAOT Young Researcher Award in Advanced Optical Technologies from the Erlangen Graduate School in Advanced Optical Technologies at the University of Erlangen-Nuremberg in Germany. 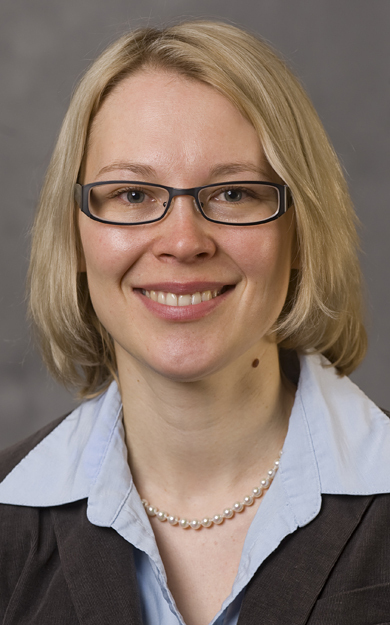 Boltasseva came to Purdue in 2008, serving a dual appointment at the Technical University of Denmark. She is a member of the Optical Society of America, Institute of Electrical and Electronics Engineers, International Society for Optical Engineers, and the American Materials Research Society. Technology Review is an independent media company owned by MIT. More than 2 million people around the globe read the publications in five languages and on a variety of digital and print platforms.